In major airports around the world, many of us struggle to walk for lengthy distances to the boarding gates. Every day, a handful of passengers miss their flight due to the lack of mobility and a bit of confusion on where to go. 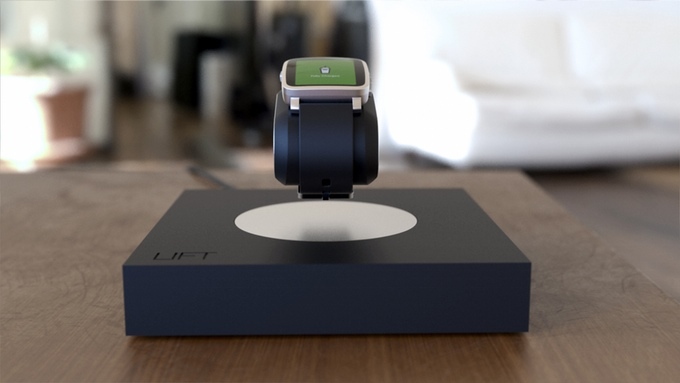 A tech startup is trying to bring much more mobility for the flying public, along with smart features to help them get the most out of their traveling experience. 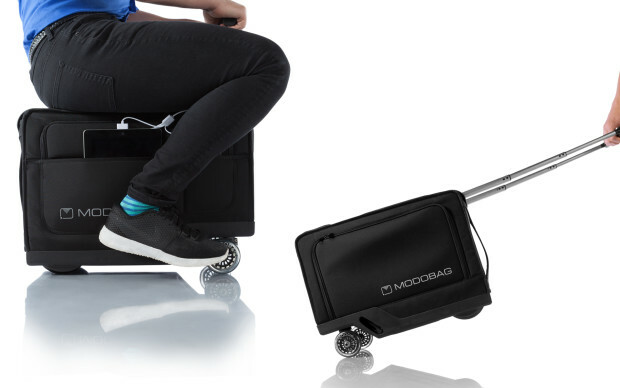 Introducing the Modobag, a motorized carry-on luggage that’s packed with many smart features. 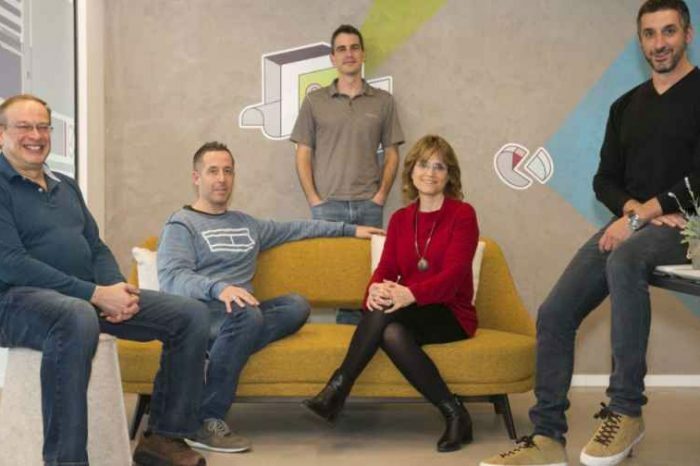 Started as an idea by Chicago entrepreneur and world traveler Kevin O’Donnell, Modobag gets its inspiration from the idea that carry-on luggages can have motors, enabling greater mobility in huge airports and getting you faster to your destination. Modobag’s design philosophy begins with its rugged exterior that gives a familiar look and feel. A combination of ballistic nylon and lightweight aluminum helps Modobag have its durable yet light construction, helping travelers to pack more of their essentials. 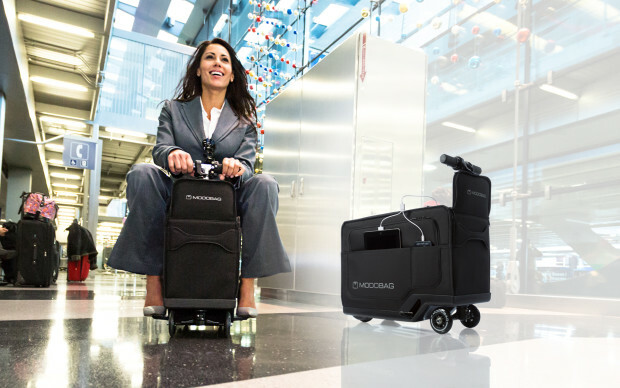 It has a built-in motor that is able to pull up to 260 pounds of weight at a speed of up to 8 miles an hour, so you can ride your luggage on the way to your boarding gate easily and quickly. Smart features come standard with the Modobag. A built-in GPS chip helps you track your Modobag in real time, with the help of the Modobag companion mobile app for your smartphone or tablet. You can set proximity alerts for your Modobag so your phone alerts you whenever your luggage gets away from your hand. The app also handles your travel history, so you’ll know where you’ve been – perfect for frequent travelers. 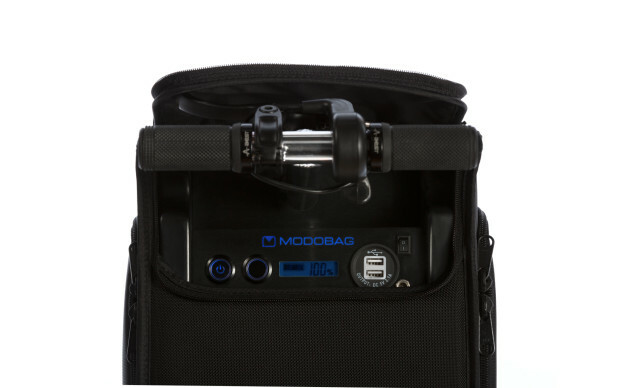 The Modobag is powered by a built-in lithium-ion battery that lasts up to 3 hours on a single charge, and can be recharged via dual USB charging ports. At the core of the Modobag is a spacious compartment to hold all of your items, just as a conventional carry-on luggage. 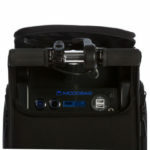 It has dedicated pockets for your gadgets, helping you organize your stuff with ease. Modobag also meets the standard luggage dimensions prescribed by airlines, so you won’t have to worry about over-sized luggage. In the age of smart devices today, Modobag is a fresh approach to the carry-on luggage. It lets you ride your way onto public transport and in airports, helping you get from point A to point B conveniently and quickly. A handful of smart features helps you get the most out of your traveling experience, and secures your traveling essentials on the go.